Vorblade is the only Vortex Generators System that achieves results of over 5% in fuel savings needed for full CARB Compliance. VorBlade was tested by independent professionals in transportation engineering and verified by the EPA SmartWay engineering team. 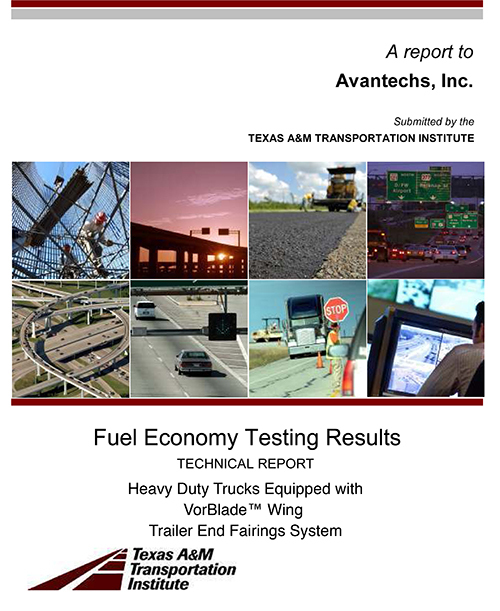 The controlled fuel economy tests, performed by the Texas Transportation Institute (in accordance with the 1986 SAE J1321 and the 2011 EPA Modifications to SAE J1321). VorBlade systems were developed with the help of CFD computer simulations and extensive wind tunnel tests. 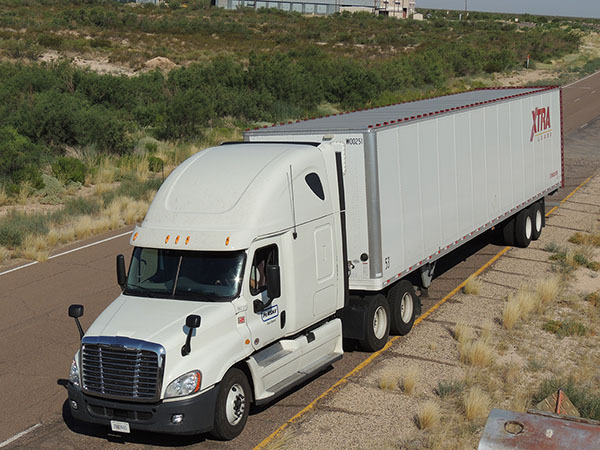 On the post-development stage, we’ve tested VorBlades on I-70 highway and an open track Tests were performed in accordance with the 1986 SAE J1321 and the 2011 EPA Modifications to SAE J1321. Road tests resulted in 8.76% average fuel saving (0.86 mpg improvement) by the VorBlade full system (vortex generators were installed on tractor and trailer, but no wing was used) and 3.76% for the Cab System only. 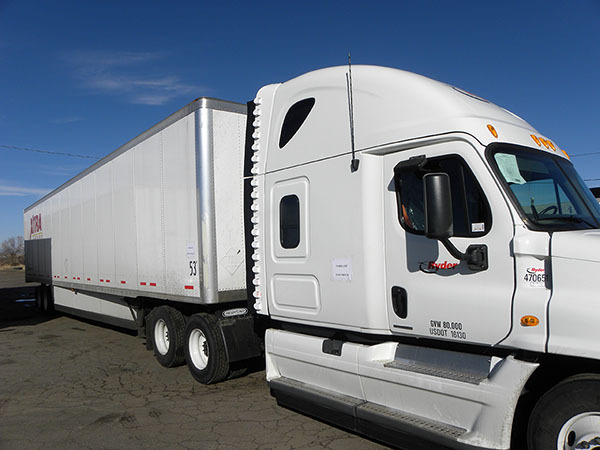 VorBlade Trailer Wing™ System is EPA SmartWay Certified and CARB Compliant aerodynamic device meeting the CARB minimum requirement to improve fuel efficiency by over 5% for dry vans and reefers with swing doors or rollup door. VorBladeTM systems have been thoroughly tested in a wind tunnel and analyzed theoretically and using computational fluid dynamics (CFD). The systems have also undergone real-life road tests on a freeway and independently performed fully controlled track tests. 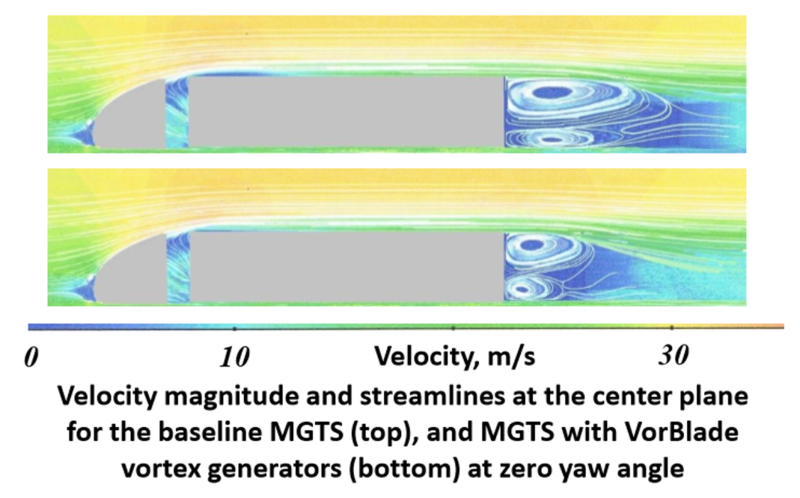 Wind tunnel tests have shown that lifespan of VorBlade-generated vortices exceeds 10 ft and reduce air drag of bluff bodies by up to 65% at air speed 67 mph. CFD simulations at air speed 67 mph have shown that VorBlade vortex generators on the tractor and trailer ends reduce air drag by 23% at no crosswind and by 31% at 18 mph crosswind. The road tests have been executed in Colorado on interstate I-70 over a circular route of about 114 miles at a speed of about 60 mph and have shown about 3.7% fuel saving by the VorBladeTM Tractor System and about 8.8% by VorBladeTM Tractor & Trailer System. 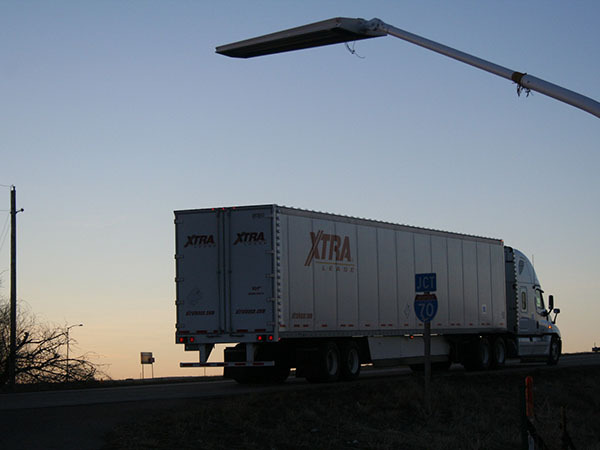 Controlled tests of the VorBlade Trailer WingTM System with Crosswind MitigatorTM Subsystem were performed by the independent authority, the EPA-authorized Texas A&M Transportation Institute, in accordance with the SAE J1321 testing procedures and the 2011 EPA SmartWay modifications outlined in the EPA-420-F-09-046 document. The testing was conducted at the Pecos Research and Testing Center in Texas on a 9-mile circular track at a speed 64 mph. The tests have shown fuel saving of about 9.5% with the accuracy within ±1%.